When it was revealed last week that longtime fox news host, kimberly guilfoyle, would be leaving the network, some fox news and Executive Mansion insiders were surprised that she was choosing to move from the cable news channel and head to a pro-drumphf super pac. guilfoyle's departure was initially billed as her decision. However, as Huffington Post first reported last week, multiple sources said that she did not leave voluntarily. A second Fox News reporter has reportedly left the network over the direction and "tone" of the news channel. On-air senior correspondent Adam Housley has decided to leave because he disapproved of on-air discussions, former Fox News employees with knowledge of his situation told Politico on Friday. Housley joined Fox in 2001 out of Los Angeles. He reportedly told other former employees that it is difficult to get "hard reporting" on air because of the network's focus on President Trump and its number of political commentators. "He's not doing the type of journalism he wants to be doing," the former employee said. "And he is unhappy with the tone of the conversation of the channel." Housley declined to comment to Politico but shared a statement through a Fox News spokesperson saying he was leaving the network to spend more time with his two young children. My question is: Who was the first? This is how depressing it must be to work for fox news, when the easiest job in the workforce provokes suicidal tendencies. 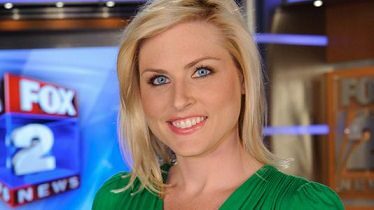 The Detroit community was stunned Thursday to learn of the death of local broadcast meteorologist Jessica Starr. The Novi resident, wife and mother of two worked at WJBK-TV (Channel 2). Starr, 35, reportedly died by suicide. "Last night we were informed of the heartbreaking news that our friend and colleague, meteorologist Jessica Starr took her life," the Fox 2 Detroit account tweeted Thursday morning. "All of us here are in shock and cannot believe such a wonderful, bright and intelligent individual will no longer be with us." Calls to parent company Fox Television Stations were not returned. Starr, a Southfield native, had meteorology degrees from Michigan State University and Mississippi State University. She had not posted publicly to her official Facebook page since mid-November, when she told friends and fans that she was "struggling" following a Lasik SMILE eye procedure. "Update; yesterday was a struggle for me," she wrote on Nov. 14. "I really wanted to come back but I need more time to recover. Please keep me in your thoughts during this challenging time. Will keep you updated." In a Facebook live video posted the day before, she explained that she had the surgery four weeks earlier. "I'm still healing because ... I wore contact lenses for 23 years and I also had a really high script so the vision is getting there," she said, adding that she was happy to be back at work and ready to "get back to my life." She asked her audience for prayers and well-wishes in the video, saying she was "struggling a little bit," and asked for recovery tips from anyone who had been through the procedure. "This is a hard go ... the doctor said up to three months or so before I feel 100 percent again." SMILE stands for Small Incision Lenticule Extraction, and is used to correct myopia and astigmatism. According to the Review of Ophthalmology, the procedure was approved by the Food and Drug Administration in 2016 and was shown to be safe and effective in FDA trials and in international studies. Starr's co-workers sat down for an on-air segment Thursday morning about her death and how they were coping with it. "It's a very difficult moment we wanted to share with all of you," said Fox 2 Detroit anchor Deena Centofanti. "It's tough to be here today, but as a family and thinking of her family, we're all working to get through this together," said a tearful Amy Andrews. "Just keep Jessica's family in your thoughts and prayers as we go through this." "It's hard because we're hurting," added Lee Thomas. "We know this is a shock to you, it's a shock to us. She was so much a part of all of us and everything that we did here. So we're going to do our jobs today because that's why we're here, for you guys." Fox 2 Detroit paid tribute to Starr on air and online throughout the morning. The station included a segment on grief with local psychiatrist Doree Ann Espiritu from Henry Ford Health System, and therapist Carrie Krawiec from the Birmingham Maple Clinic. Other media personalities shared their thoughts. Detroit media icon and former WDIV meteorologist Chuck Gaidica called Starr "a kind, funny and talented lady." "Jessica interned at Local 4 in our weather office before going into full-time TV news," he said on social media. "I am so heartbroken too! Praying unceasingly." "Newsrooms are families," said WDIV's Devin Scillian on Twitter. "We know the big family at @FOX2News is hurting today. Stunned to hear about the loss of Jessica Starr. We're wishing her husband and children and big extended family peace."